If you or a family member have been involved in a bicycle accident, our Texas attorneys possess the in-depth knowledge of the law to assist you in settling your claim. Our personal injury attorneys work with a team of skilled people including medical professionals and investigators to review your bicycle accident. We get all the facts about your bicycle accident and we prepare the most solid case possible. We know from experience that the better prepared we are to go to court and win, the more likely we are to obtain an excellent out-of-court settlement on your behalf. A bicycle injury lawsuit requires us to look at all conditions at the time of the accident. Medical expenses both current and ones you are expected to incur in the future. Current lost wages and wages you will lose in the future either due to your inability to return to work at all or inability to return to your former employment even if you are able to work. Rehabilitation expenses, including physical rehabilitation and vocational retraining if required. Long term medical and nursing care needed as a result of your injury. Crossing at an intersection: 8.3 percent of bicycle crashes occurred as bike riders were crossing an intersection. Investigators in these types of accidents have to determine if the rider was obeying traffic laws and if the motorist involved properly yielded the right-of-way. Changing lanes: Another 8.3 percent of bike accidents occurred as bicyclists changed lanes. Drivers must attempt to avoid cyclists who are changing lanes and bicyclists must only change lanes when it is safe to do so and signal their intent to change lanes. Avoiding a vehicle: When a bicyclist is cut off or forced to swerve out of the way of a reckless driver, it can result in a devastating accident. In the year 2011, 4.2 percent of bicycle accidents occurred when a bicyclist attempted to avoid a vehicle. Entering the roadway: 6.2 percent of bicycle and vehicle collisions resulted as a bike rider attempted to enter the roadway from a smaller street or parking lot. You must file your personal injury lawsuit within a certain period of time after the accident, so it is important that you contact attorneys for a consultation as soon as possible. If you miss the deadline, no matter how seriously you were hurt, you will lose your right to file a personal injury lawsuit. 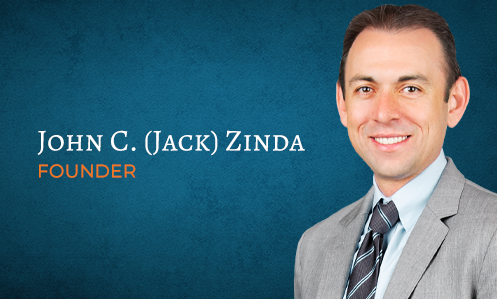 The bicycle lawsuit specialists and injury attorneys at Zinda Law Group understand the importance of solving every riddle and accumulating every piece of pertinent evidence in your case. We work hard for our clients because we understand the pain of being run off the road by a motorist. We know that you have mounting medical bills and injuries that may require long-term medical care. Our lawyers are there for you; we protect your rights. Many times, an insurance company will try to get those involved in an accident to sign away their rights as quickly as possible. It’s their job to get you to sign papers saying you will accept whatever they’re offering.